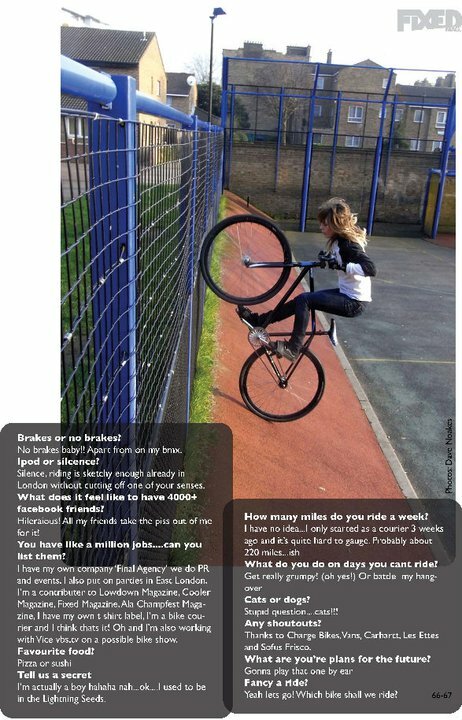 The latest issue of F ixed mag features an article on the women of fixed gear, written by and featuring yours truly. 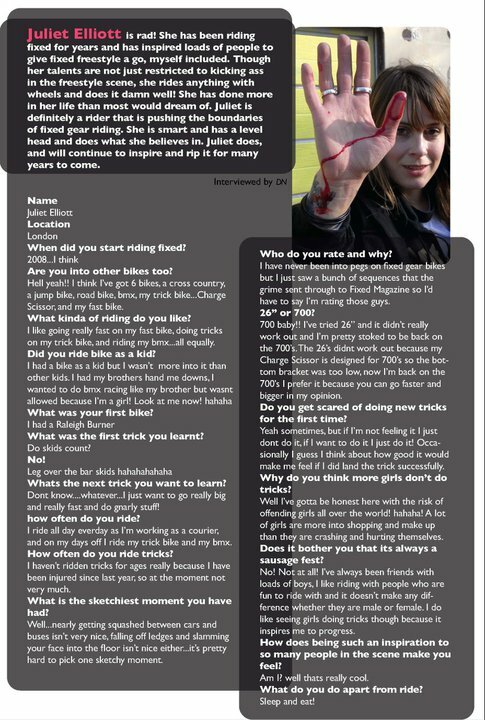 Take a peek and read about some of the top fgfs ladies. Up Next. This K cider is really good!